Russia has warned the Trump administration that withdrawing from the multi-lateral Iran nuclear deal would be a grave error. US President Donald Trump on Friday extended the waiver on economic sanctions against Iran – a key aspect of the 2015 Iran nuclear deal – but said that this would be the “last chance” to renegotiate the agreement, which he said was terribly flawed. 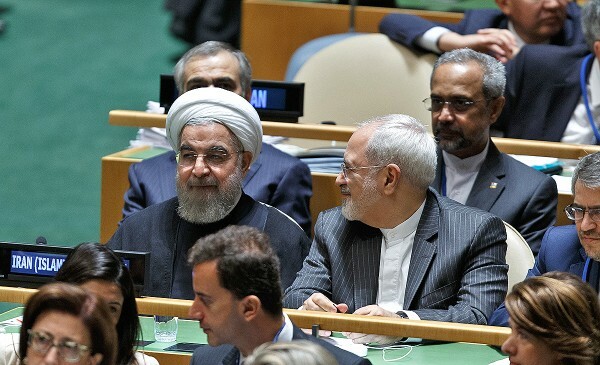 The 2015 deal stipulates that US presidents must sign a waiver suspending the sanctions regimen on Iran every four months. His statement was seen as a warning to the European partners (Five Permanent Security Council Members plus Germany) who negotiated the deal with Iran and the Obama administration at the time. “In the absence of such an agreement, the United States will not again waive sanctions in order to stay in the Iran nuclear deal,” Trump said on Friday. Russia, which played a key role in mediating the 2015 deal, says that any such move by Trump to scrap the deal would be a colossal foreign policy debacle for the United States. Russian Deputy Foreign Minister Sergey Ryabkov told the Interfax news agency on Saturday that Trump was heading toward a major failure of American politics. Meanwhile, the Iranians have dismissed US pressure to renegotiate the deal. “The Islamic Republic of Iran stresses clearly that it will not take any measures beyond its commitment to the [2015 deal], nor will it accept changes to this agreement now or any time in the future. It also will not allow the [deal] to be linked to any other issue,” a foreign ministry statement from Tehran said. Trump’s policy & today’s announcement amount to desperate attempts to undermine a solid multilateral agreement, maliciously violating its paras 26, 28 & 29. JCPOA is not renegotiable: rather than repeating tired rhetoric, US must bring itself into full compliance -just like Iran.